It's been busy for us lately. Lots of installs and of course, the typical hustle and bustle of the holidays. We haven't been in the office much but we've been accomplishing a lot. That's for certain! A couple of weeks ago we had a huge 20 bedroom, 2 house install in Kissimmee for Park Square Homes. These two vacation homes took hours and hours of time to complete but we are pretty proud of the way they turned out. Since they were vacation homes, we kept with the sunny Florida theme and did a water theme and a citrus theme. Both were a little modern with some coastal touches but still in-keeping with TMID style of neutral base with pops of color. There are lots of pictures that still need to be taken but here is a snippet of the finished product! 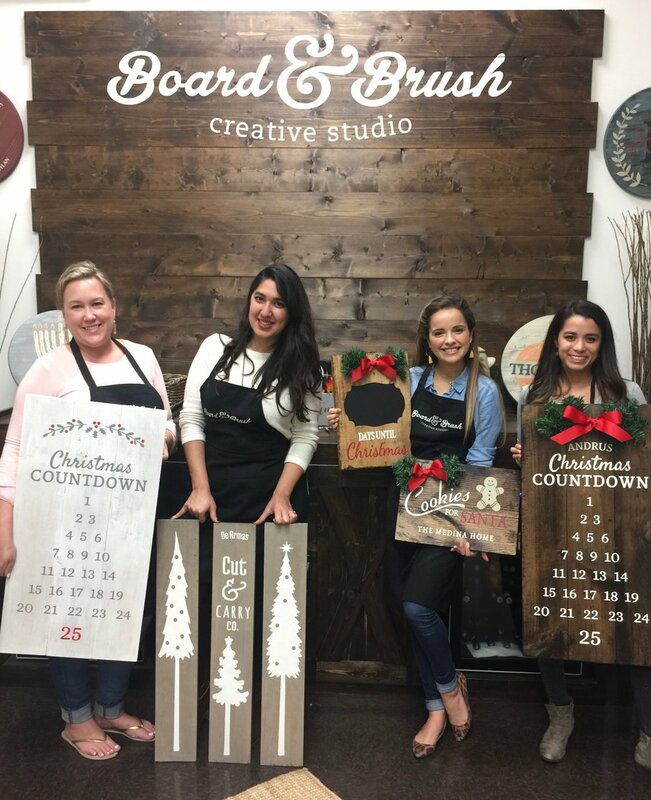 After lots of long hours and late nights, we needed something to rejuvenate our creative juices so we took a team-building day and got messy at Board & Brush. 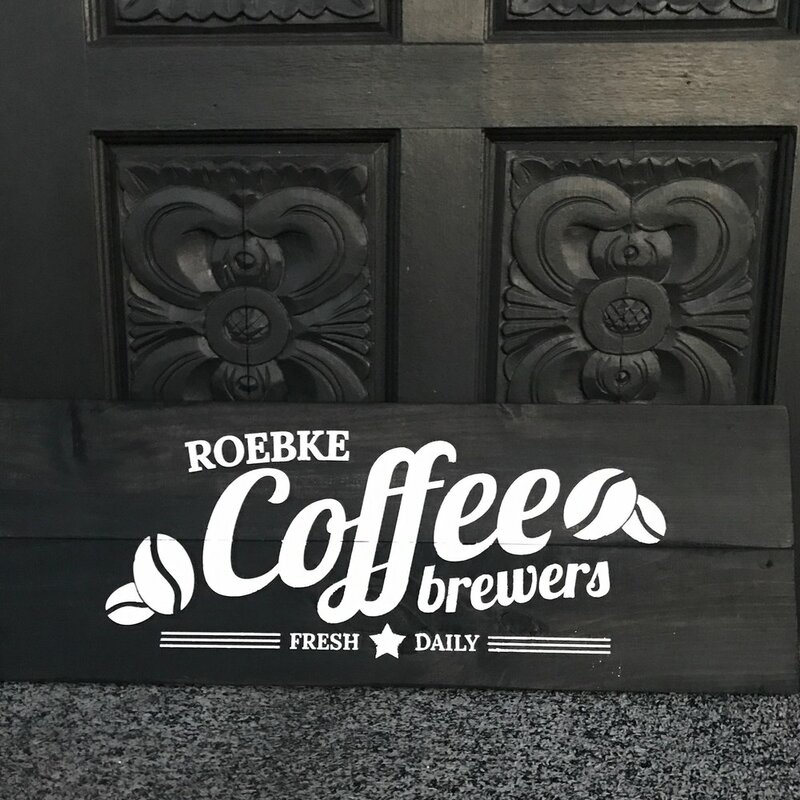 It's a wood and paint studio where you pick from one of their designs and re-create a customized wood sign. They provide all of the tools and materials (even wine and beer!) and you just have to let your creative juices flow! They'll help where you need help or let you take over where you want to. If you haven't been there, we highly recommend it! It's great for a small or large group and you leave with a great showpiece you can display proudly in your home. Here are some photos of our time and the finished product! We hope you all had a wonderful Thanksgiving! We've all sure got a lot to be thankful for!